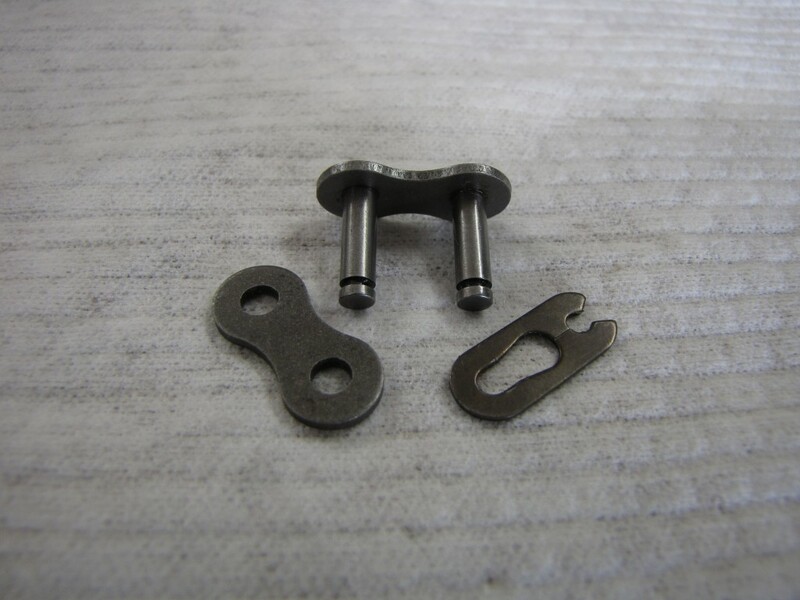 Installing a chain master link clip for a go kart is easy! This step-by-step guide will show you how to do it (the right way)! 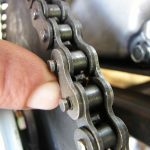 Make sure your chain length is correct. 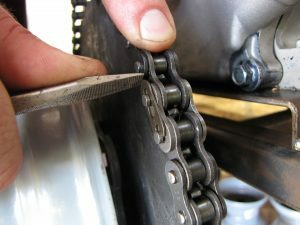 Line up the ends of the roller chain so the pins of the master link can be inserted. 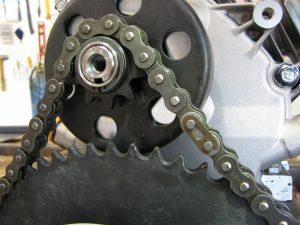 Notice that the chain ends are placed on the sprocket so this automatically happens! This makes for an easy installation of the master link pins. The master link plate with pins is inserted so the grooves in the pins are facing outward. The reason why you want the pins to face outward, is so that you can access it easily for this installation, as well as any future disassembly. The plate without pins is inserted over the pins of the master link. Make sure you can see the grooves of the pins so that the spring clip can be installed correctly. There is a right and wrong way to install a master link clip, and this way is the right way. Orient the master link spring clip so the open end trails the closed end. In other words, the closed end of the clip needs to be at the head of the chain travel when the sprocket is moving your go kart forward. Once you have the master link spring clip lined up, use a flat head screwdriver to push the clip into the grooves in the pins. You will know when it seats in the grooves when you hear a ‘click’ as it snaps into place. Done – Now Have Fun! It is very easy to install a master link. If you need to buy a go kart master link, you can get one here. 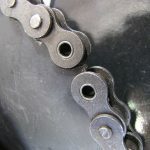 Master links are used in bicycles, go karts, and other non-o-ring style roller chain. This step by step guide has been created to share what I know so you can hit the road safely with your newly installed master link! What is the difference between #41 chain and a #420 chain? I have a go kart that has a 41 chain on it but I only have 420 chain. Could I put the 420 chain on it? 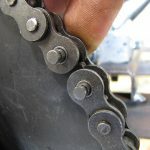 420 chain fits 41 sprockets. 420 is just wider so no problem there.